• Our commitment to quality and customer service. • How we monitor our performance. • How we aim to maintain standards and improve our services. • Where you can find out key information. East Malling Short Courses was established in 2011 and is a registered LANTRA Awards training provider. 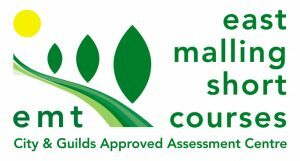 In April 2017 East Malling Assessment Centre was formed to deliver CITY & Guilds certificate of competence assessments. • Operate efficient, user friendly administration procedures. • Provide information on LANTRA, City and Guilds and other accredited courses according to the requirements of our customers. • Keep our customers informed of upcoming courses and special offers. • Provide customers with cost effect and value for money service . East Malling Short Courses and East Malling Assessment Centre are regularly audited and monitored by LANTRA and City & Guilds to ensure the quality of provision of training and assessments. External QA will be carried out at regular intervals. • provide joining instructions for both training and assessments at least 2 weeks prior to the start of the course whenever possible. • monitor trainers and assessors and take appropriate action where necessary. • deal with any complaints swiftly according to our complaints procedures policy. • send out certificates promptly, within 2 working days of receipt. • abide by up to date policies, which are available to view on the website. Where you can find out key information. Information regarding contact details, courses and assessments are available at all times on our website www.emsc.org.uk or by calling us on 01732 523755 during office hours.